THE DEPARTMENT OF SOCIOLOGY OFFERS OPPORTUNITIES FOR UNDERGRADUATES TO GAIN VALUABLE RESEARCH EXPERIENCE. 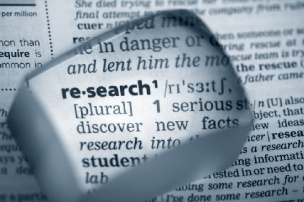 The Department of Sociology encourages undergraduates to get involved in research. We provide research experience through our Undergraduate Research Project (URP). The project promotes, develops, and celebrates undergraduate student research with the overall goal of enhancing undergraduate education and preparing students for careers in all fields. **Students can also gain research experience through the department's Social Research Analysis Certificate or through one of our many courses that teach both quantitative and qualitative research skills. WHAT IS THE UNDERGRADUATE RESEARCH PROJECT? URP brings together undergraduates from multiple fields and disciplines to carry out research projects in collaboration with, or under the close supervision of, Department of Sociology faculty members. Through the support of the Undergraduate Research fund, the department aims to help undergraduate students develop or enhance research competencies across a number of themes, concepts, and methodologies. Faculty will impart students with the rudiments of training in sociological research to craft a proposal, form relevant questions, and develop theoretical frameworks. While we emphasize the importance of research design, our collaborations teach students how to develop a literature review, collect data, conduct analysis, and write up results. We anticipate providing a stipend of up to $500 for first-time undergraduate research assistants, contingent on availability of funds. Students who pursue a Research Assistantship have the option to enroll in practicum credits. Interested in getting involved with research? Start here! Still have questions? Please contact Kat Fabel, Chief Undergraduate Advisor, at 413-545-4056 or kfabel@soc.umass.edu. Please encourage the next generation of scholars by donating to Undergraduate Research. A gift of $1,000 would support a year-long research experience for one undergraduate student. All gifts, no matter the size, are needed and appreciated. Many of our undergraduate students are involved in thought-provoking social science research and projects we believe to be important for shaping policy while building bonds within our research departments at UMass and the surrounding communities. Please browse the profiles below to see what some of our students are working on.